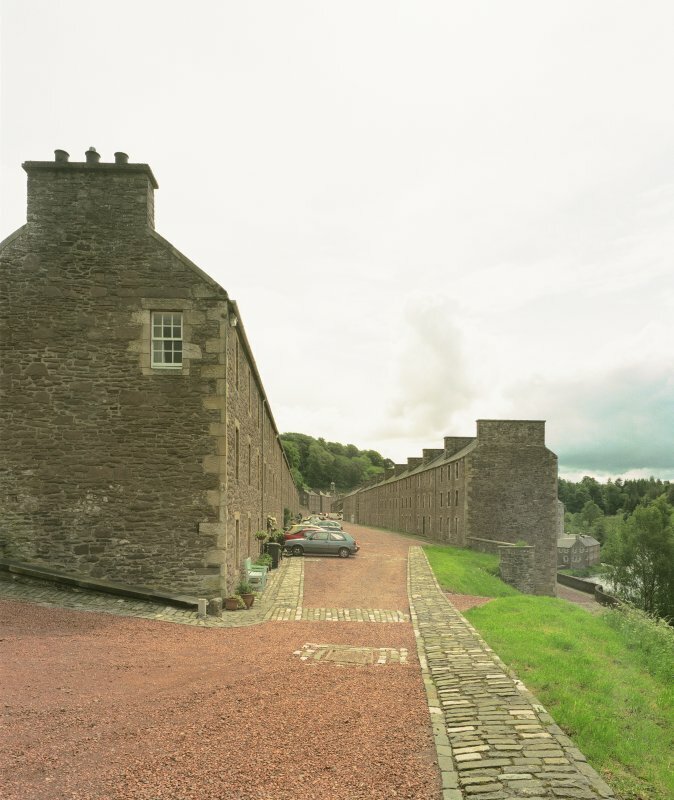 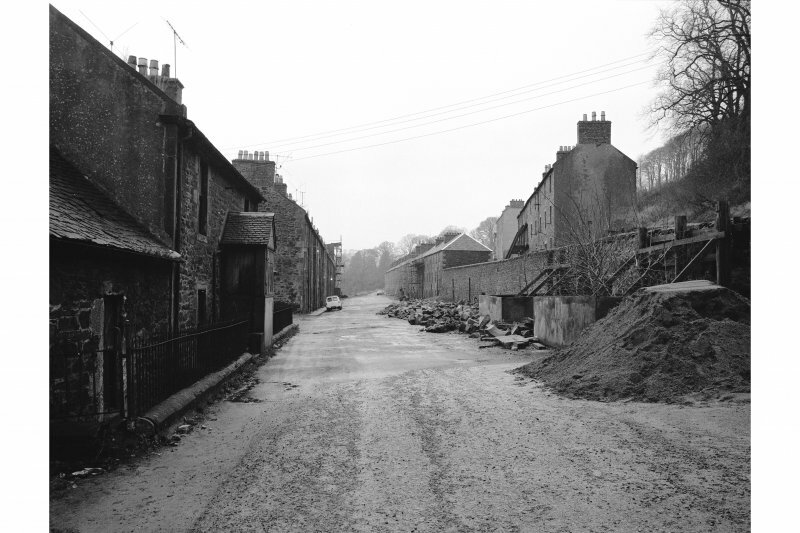 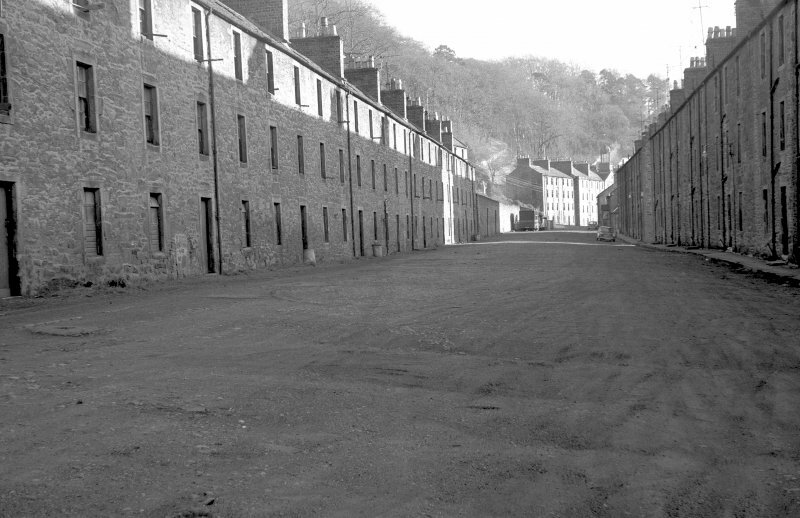 New Lanark, 109-119 Rosedale Street. 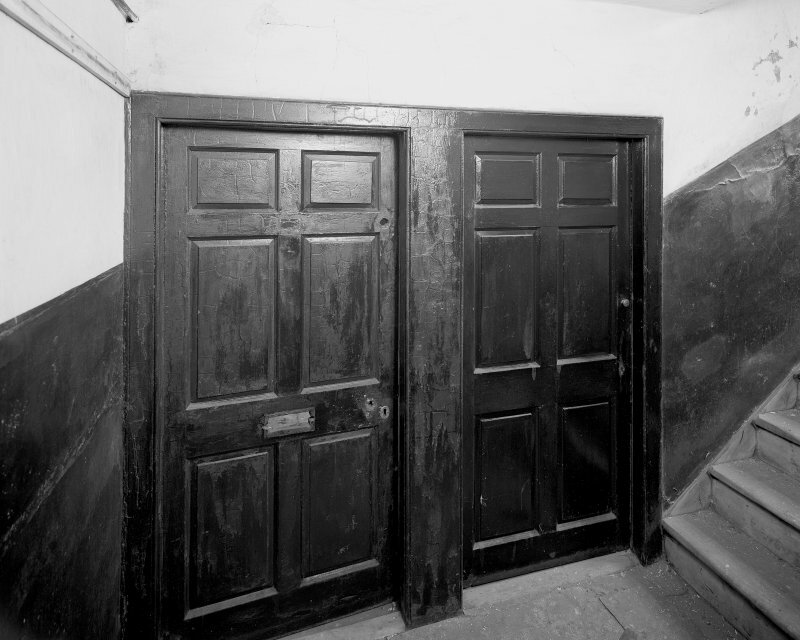 Detail of original doors. 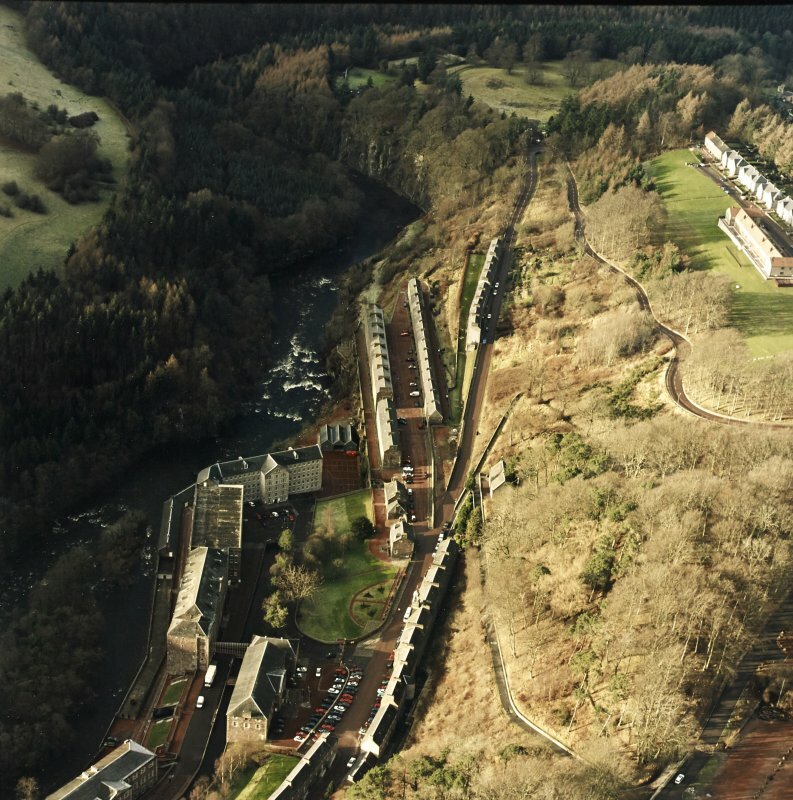 Oblique aerial view of New Lanark centred on Rosedale Street, taken from the ESE. 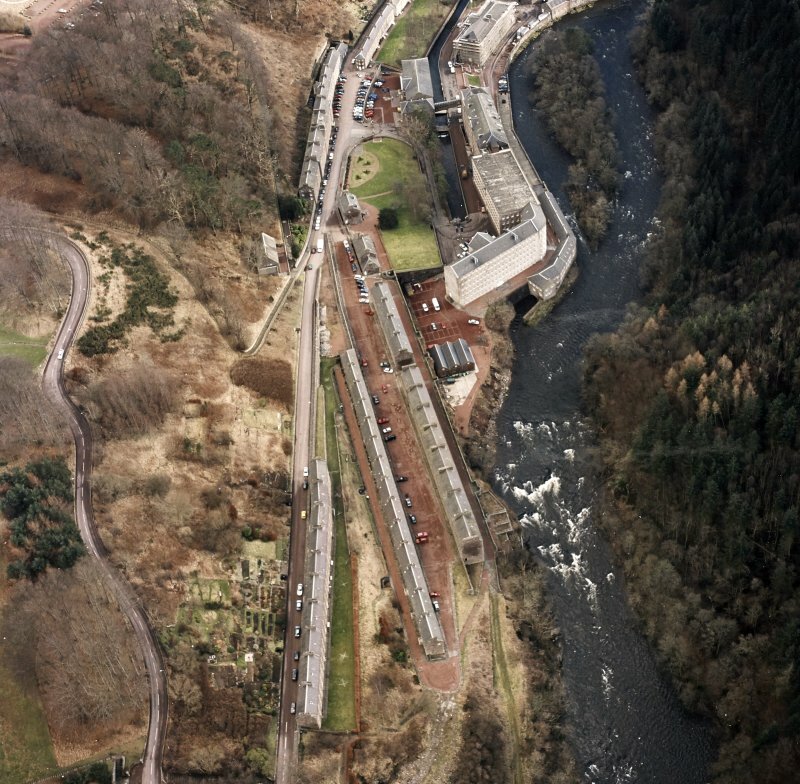 Oblique aerial view of New Lanark centred on Rosedale Street, taken from the WNW.